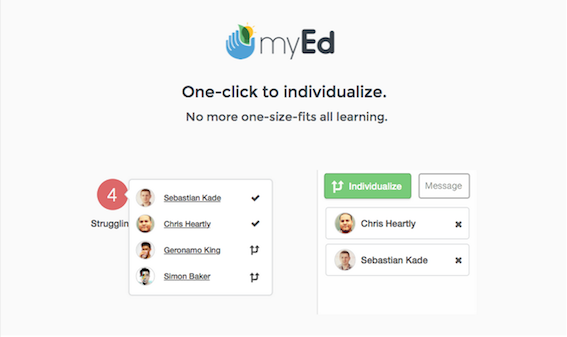 myEd makes it easy for you say goodbye to a one size fits all in your classroom by enabling you to in less than 30 seconds individualize your lessons for your students giving the right content, to the right student at the right time. Find out how in this short 90 second video! We offer a no strings attached FREE term trial. Shoot us an email at hi@myedapp.com to get your free account!